EDINBURG — Unable to participate in preseason practice due to a hamstring injury, RGV FC midfielder Jorginho James ballooned up to 216 pounds. 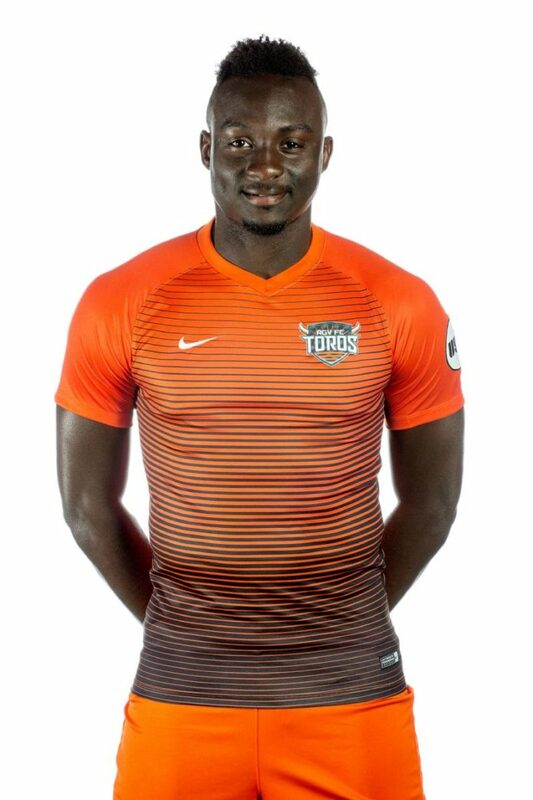 Listed at 6-foot-1 and 181 pounds on the USL website, James typically cuts an imposing presence in the defensive midfield, appearing in 24 games for the Toros last season. But the injury and decreased fitness level kept him from finding the same success out of the box in 2017, as he played just 15 minutes across two matches as a sub in the Toros’ first six games. After following a strict regimen of diet, supplements and additional training, James said he’s back down to 192 pounds and clear of the hamstring issue. He started and played 72 minutes in a 1-0 win against Swope Park Rangers on May 13, played 82 minutes in a 1-1 draw with LA Galaxy II on May 20, and played the full 90 for the first time this season last Saturday against Sacramento Republic FC. James will be hoping to continue his resurgence at 7:30 p.m. Saturday, when RGV FC hosts Seattle Sounders FC 2 at H-E-B Park. A 22-year-old from Jamaica, James said his passing has been the biggest sign of growth from last season. He describes himself as a “simple” player in the midfield, one who concentrates on winning the ball and making the sound play. He may not have the same bulk he carried during the preseason, but he is still regularly one of the largest players on the pitch. RGV FC coach Junior Gonzalez said James often surprises opponents with how soft his feet are given his bulk. Gonzalez credited James’ vision and intelligence for his ability to thrive in his role, and highlighted James’ professionalism for quickly getting back into shape after injury. James’ focuses going forward, Gonzalez said, are making plays from the back and acting as an extension of RGV FC’s defense through sound tackling. “If he does that and keeps his game simple, I think a lot of MLS teams, along with the Dynamo, will be very interested in a player like Jorginho,” Gonzalez said. James’ soccer career has already taken him across the globe. Currently on loan from Jamaica’s Harbour View FC, James has had opportunities for trials or brief stints in Malaysia, Finland, Japan and Antigua, among others. He’s picked up different lessons with each stop. In Japan, for example, he said he learned to never worry about the money and instead focus on improving. Each area also exposed him to a different culture. James said he enjoyed Antigua the best, with people as talkative and fun loving as he grew accustomed to in Jamaica. His proudest moment on the pitch came with his native Jamaica’s senior national team. At age 17, James scored in an international friendly against Cuba just 5 minutes after subbing into his first match in the 82nd minute.